Fibroids and endometriosis are one of the most common health conditions experienced by women. Both of these conditions cause pain and discomfort in the lower abdomen and are one of the leading causes of infertility. In this article, I discuss a natural approach in dealing with these painful conditions which put you back in control of your health. If you visited with us in the clinic, we would be interested in what other “signs & symptoms” you have associated with the endometriosis or fibroids. Signs and symptoms is a foundational part of Chinese medicine and have been used for over 1500 years prior to sophisticated diagnostic equipment and tests. Basically, it means the Practitioner is going to ask you a bunch of questions about your everyday health. If you have one or more of these signs & symptoms, what do they have to do with driving endometriosis or fibroids? They all give an indication of an imbalance in your microbiome. Not sure what the microbiome is? A healthy human body has a unique, diverse community of microorganisms (bacteria, viruses, and eukaryotes) which live both inside and outside of you (intestines, organs, skin, hair, sinuses) in a symbiotic relationship. As symbiotes, they contribute to your (the host) general health and well-being, and you contribute to their wellbeing and health. These microorganisms that reside in and on the human body are collectively termed ‘microbiota, with their assembled genome sequences termed ‘microbiome’. To give you an indication of how extensive the microbiome is (and how important it is to your health), for every cell that is “you” there are 10 or more cells that are not you. In reality, “you” are a superorganism. Take away: If you want to consider taking back control of your health, always consider all of the conditions occurring in your body. All conditions are related. It is widely accepted that estrogen plays a significant role in many disease states including gynecologic conditions and cancers in addition to less obvious estrogen-mediated diseases such as metabolic syndrome (a coupled condition of overweight, diabetes and cardiovascular issues) Modulating the gut microbiome to subsequently impact estrogen levels provides an exciting therapeutic application which are basically lifestyle alterations. According to Western medicine, no one knows for sure what causes these conditions to form. What we do know is that they seem to be affected by hormones. Specifically, excess estrogen in the body seems to make them grow. So, one of the ways to treat these conditions naturally is to address estrogen excess in the body’s ecosystem but the underlying unanswered question is what drives estrogen excess which will be addressed in this article. Uterine fibroids are thought to arise as a response to local inflammation in the muscle layer of the uterus. Ovarian hormones, such as estrogen, influence uterine fibroid formation by stimulating smooth muscle cell proliferation and collagen deposition. Fibroid dimensions can vary from microscopic to grapefruit-sized. Your endometrium is normally found on the inside of your uterus. It is the lining of the uterus. Hormones make the lining thicken in preparation for receiving a fertilized egg and if no egg is received the lining is shed. Endometriosis is a condition in which tissue, similar to the lining of the uterus, grows in other areas of the body. This misplaced tissue responds to the hormones (estrogen) by thickening and shedding with every menstrual cycle. The endometrial tissue can cause inflammation, pain, adhesion, or scar tissue, may form and stick one organ to another. How Does your microbiome drive fibroids and endometriosis? All of us are familiar with bacteria imbalances, whether it is a UTI, candida, or Montezuma’s revenge during a long-awaited vacation. We all understand that bacteria (your microbiome) does affect our health, however, generally it is running in the background doing its job, out of our awareness until something pops up like a UTI. Let’s define a healthy gut microbiome first so that you will understand how an imbalance of the gut microbiota, known as dysbiosis, has a pathophysiological consequence for creating fibroids and endometriosis. For this discussion, I am only discussing the gut microbiome, not the skin, sinus or mouth bacteria. What is also important to keep in mind is there is active communication occurring between all bacteria communities within the microbiome and with your brain. This means there are other bacteria communities within your body other than in your gut, and communication is occurring between all communities as well as the brain. A healthy, diverse gut microbiome is composed primarily of 4 major bacterial groups: Bacteroidetes, Firmicutes, Actinobacteria, and Proteobacteria. A balanced bacterial composition is key to maintaining healthy intestinal immunity and homeostasis. A lower Firmicutes/Bacteroidetes (F/B) ratio also correlates with health. For example, lean humans and mice have a significantly lower F/B ratio compared to their obese counterparts. (2) The lower F/B ratio is achieved by higher consumption of fiber (think vegetables). The firmicutes really like fiber and they ferment the fiber in the large intestines to produce short chain fatty acids (SCFAs). A component of SCFAs is butyrate, which provides an energy source for colonic epithelial cells and exhibits immunomodulatory and anti-inflammatory properties that contribute to the maintenance of epithelial barrier integrity. (2) Gut Microbiome diversity is important since a more diverse gut microbiome contains a greater diversity and abundance of enzymes capable of synthesizing metabolites such as tryptophan, which is used to create the neurotransmitter serotonin. Serotonin helps one relax and sleep, which then contributes to gut homeostasis and overall health. Take away: fiber consumption (vegetables, fruit, ancient grains) is extremely important to produce SCFAs, which are important for gut health and epithelial barrier integrity. The gut epithelial barrier is one of the more important concepts in this article. Let me explain it so you can understand its significance. This epithelial barrier is on the inside of the gut and it basically separates all of the gut contents (food and the bacteria that break the food down) from the internal organs. Probably you can appreciate this as sometimes you ingest pathogens and of course, you don’t want them to have access to your organs. The epithelial barrier stops that from happening. The gut epithelial barrier is an amazing structure as it is essentially one cell layer thick with all the cells joined to form the barrier. There are several amazing features about it, such as it can selectively open and close to allow nutrients, hormones and vitamins to pass into the interior of the body. Also, if there is a bacterial infection it can selectively open and allow water from the interior to rush into the intestines. Guess what happens then? You get explosive diarrhea which is the bodies way of flushing out the bacterial infection. An imbalance of the gut microbiota is referred to as dysbiosis and has pathological consequences. Dysbiosis leads to a reduction of bacterial diversity and an increase in the type of bacteria that leads to an inflammatory response and metabolic profile that is detrimental to gut epithelial health. Gut epithelial barrier integrity has been shown to be influenced by dysbiosis through the reduction in cell–cell junctions, leading to increased permeability and subsequently bacterial translocation. (4) Bacterial infiltration thru epithelial barrier permeability can lead to systemic inflammation, in turn leading to disease and tumorigenesis. The gut epithelial barrier can get damaged, which then leaves the barrier dysfunctional allowing bacteria to translocate into the interior space along with a chronic inflammatory response condition. Fortunately, there is a second level of defense which is composed of immune response cells, macrophages and dendritic cells. However, if the barrier dysfunction is chronic, even this defense system can be compromised. One final point, before we move to the female reproductive organs, fibroids and endometriosis. The gut epithelial lining is a highly specialized membrane for controlling the flow of nutrients, vitamins, neurotransmitters, expelling waste and defending the body against toxins and pathogens. That same structure and functionality wrap all organs, which would include the female reproductive organs. Take away: the integrity of the gut epithelial lining is vitally important for your overall health. Simple things like increasing fiber intake, avoiding sugar, avoiding processed foods with additives can help keep the membrane from increased permeability. 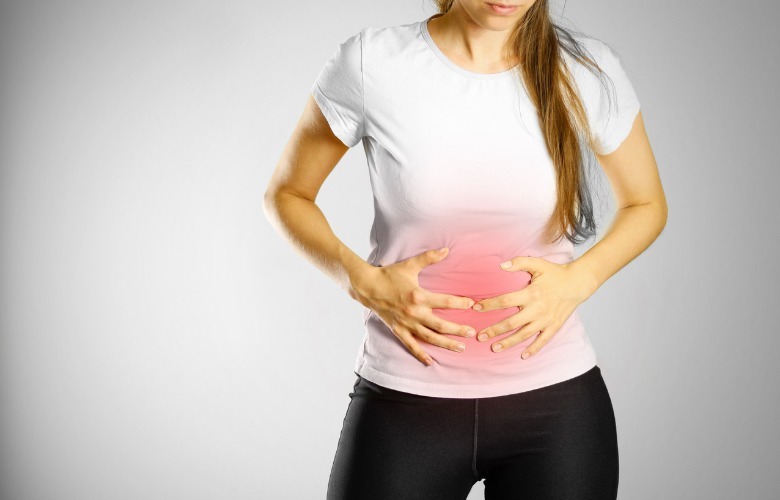 It has been shown that the endometrium as well as the other female reproductive organs harbors a microbiota and is thus susceptible to dysbiosis, such as a UTI or candida. Additionally, this dysbiosis, whether of the gut or of the reproductive tract affects the epithelial barrier tight junctions, which allows translocation of bacteria into the interior space of the body and contributes to disease states and accelerated aging. What does translocation of bacteria into the interior space mean? Once bacteria or endotoxins are able to pass thru the endothelial barrier, what happens to them? First, there is a secondary defense system which is composed of immune cells, macrophages and dendritic cells (part of the lymphatic system) which attack these invaders. However, a chronically compromised barrier over time will allow the endotoxins and pathogens to pass thru this secondary defense where they encounter, nerves, capillaries and muscle and finally the Extracellular fluid (ECF). Once the endotoxins and pathogens encounter nerves and capillaries, the inflammation can move to distant sites. To finish up this discussion we are going to return to the gut microbiome. It has long been recognized that estrogen is a primary driver of gynecological diseases including fibroids and endometriosis. Probably as you are now beginning to recognize, the microbiome is involved in most processes within the body including estrogen. The liver is responsible for clearing all of the steroid hormones from the blood supply. Estrogen is a steroid hormone and once cleared from the liver it is either flushed out as urine or goes to the large intestines to be removed. This is the process for how estrogen is broken down and excreted in a healthy situation. However, in the unhealthy state dysbiosis can occur with the bacteria secreting β-glucuronidase, allowing the estrogen to be stepped up to a more potent form of estrogen (16α-OH estrone). This estrogen stimulates epithelial proliferation throughout the female reproductive tract, and has been shown to drive proliferative diseases such as endometrial cancer, endometriosis and uterine fibroid and breast cancer. It is therefore the gut microbiota which regulates homeostasis at intestinal and distal sites. When dysbiosis occurs, these physiological responses are altered, and contribute to disease states that are sometimes referred to as estrogen dominance. 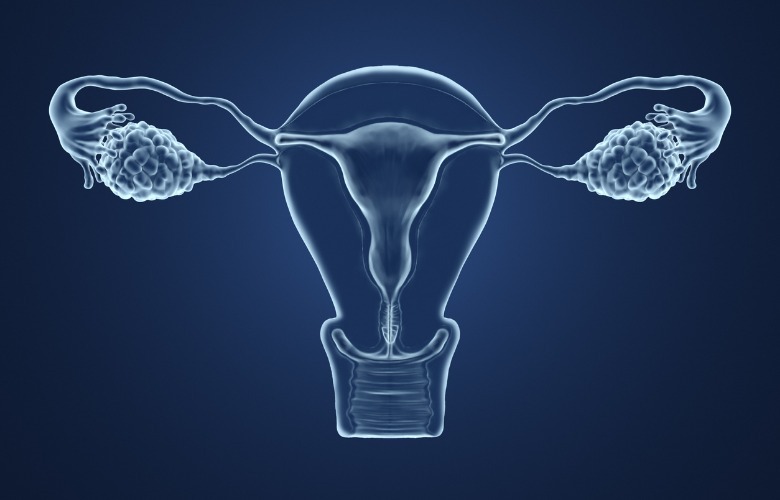 The development of endometriosis and fibroids has been linked to estrogen, however the mechanism for the estrogen dysregulation has not been identified. In this article I step thru the mechanisms for this dysregulation. In understanding the mechanisms that drives fibroids and endometriosis growth, you now have the tools to implement changes in your life to take back control of these conditions and your health. Do an overall health assessment of yourself and list all conditions you are dealing with. Remember all conditions are connected. Start increasing your consumption of fibers. If you don’t like vegetables try a supplement like fructo-oligosaccharides or Inulin which are both fibers. Why: The microbiome uses fibers to create short chain fatty acids (SCFAs) which are beneficial for epithelial tight junctions and for the beneficial bacteria of the microbiome. Substantially reduce or stop fructose and sugars. Why: Sugars and fructose make the epithelial barrier more porous. Reduce alcohol consumption and NSAIDs as both make the epithelial barrier more porous. Reduce red meat consumption, as it reduces production of SCFAs, and unless the meat is organic will contain antibiotics and growth hormones. Reduced your consumption of processed foods which contain additives and preservatives that affect the epithelial barrier tight junctions. If you have experienced UTI’s or vaginal infections, monitor your vaginal pH which should be in an acidic range of 3.5 to 4.5. If you have experienced UTI’s or vaginal infections, you would want to do probiotics to help repopulate the beneficial vaginal bacteria and normalize the pH. Monitor your estrogen by using a home saliva hormone test. Elevated levels of estrogen can be reduced by fiber, cruciferous vegetable extracts, fermented foods, or probiotics. These suggested changes take time: time to implement food changes and time to make them part of your daily routine. Don’t get discouraged, just keep in mind that the microbiome is your friend. As you repair it, you will feel stronger and be healthier. 1. Puca J, Hoyne GF. Microbial dysbiosis and disease pathogenesis of endometriosis, could there be a link?. Allied J Med Res 2017;1(1):1-9. 2. Baker, J.M., Al-Nakkash, L., Herbst-Kralovetz, M.M., 2017. Estrogen–gut microbiome axis: Physiological and clinical implications. Maturitas 103, 45–53. 5. Puca J, Hoyne GF. Microbial dysbiosis and disease pathogenesis of endometriosis, could there be a link?. Allied J Med Res 2017;1(1):1-9. 11. Baker, J.M., Al-Nakkash, L., Herbst-Kralovetz, M.M., 2017. Estrogen–gut microbiome axis: Physiological and clinical implications. Maturitas 103, 45–53. 12. Puca J, Hoyne GF. Microbial dysbiosis and disease pathogenesis of endometriosis, could there be a link?. Allied J Med Res 2017;1(1):1-9. Warren L. Cargal, M. A., L. Ac. is a licensed acupuncturist and herbalist and a diplomat with the National Certification Commission for Acupuncture and Oriental Medicine. 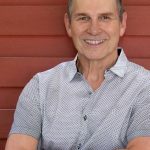 He has practiced Chinese medicine for over 10 years in the fields of obstetrics, gynecology and internal medicine and has helped hundreds of men and women with fertility issues. He maintains an active clinic practice in Atlanta GA. Author of two books, Your Mitochondria Key to Health & Longevity" and The Reality We Create The Influence of Beliefs And Consciousness on Our Health And Longevity. Biotics Research Corporation is a nutritional products company combining scientific innovation with the best of nature, they deliver cutting-edge supplements. Ayur-medic is a company carrying a skin care line of products based on Ayurvedic principles and traditional medicine. These products are focused on treating problems such as damaged skin, uneven skin tone, polysensitive skin, and dry skin. An Acupuncture and healthcare practitioner, Manju shares how she began to make healthier choices in her life. Heard of intermittent fasting? Fasting has an array of health benefits – including supporting normal blood sugar. Discover how fasting with diabetes can help you manage your blood sugar levels. Flu is reported to be widespread across the U.S. this year, here are a few preventive measures you can take, as well as treatments. Supplements such as elderberry syrup and Vitamin D can be very effective for cold and flu. Any statements made on our blog have not been evaluated by the Food and Drug Administration. Products mentioned are not intended to diagnose, treat, cure or prevent any disease. Maciocia, Giovanni. The Foundations of Chinese Medicine: A Comprehensive Text. Seattle, WA: Eastland Press, Inc. 2009. Print. Buy Chinese Herbs and Nutritional Supplements from AcuAtlanta.net.